Students and faculty at Michigan State University have called on the resignation or firing of interim president John Engler, almost from the day he was appointed. Thursday, they may get their wish. "John Engler's reign of terror is over" tweeted MSU Board of Trustees member Brian Mosallam soon after an emergency meeting of the Board of Trustees was announced. The former Republican governor of Michigan was appointed by the university's board soon after the president of more than a decade, Lou Anna K. Simon, stepped down. Simon resigned amidst a firestorm over how the school handled former MSU sports doctor Larry Nassar, who sexually assaulted many of his female patients. Engler's efforts to try to shepherd the school through a turbulent time were undercut by a year of scandal. In an article published late last week by the Detroit News, Engler said the school had made progress since the start of the Nassar controversy. But then he suggested that some survivors like the attention they've received. "You've got people, they are hanging on and this has been ... there are a lot of people who are touched by this, survivors who haven't been in the spotlight," Engler said in an interview with the paper's editorial board. "In some ways they have been able to deal with this better than the ones who've been in the spotlight who are still enjoying that moment at times, you know, the awards and recognition. And it's ending. It's almost done." The topic of conversation between Engler and the Detroit News editorial board was his recent move to close a fund to help survivors of Nassar pay for their mental health bills. It was set up as part of a $500 million settlement the school reached with Nassar survivors. The board of trustees later voted to keep it open. Earlier in the year, Engler also faced criticism over unearthed emails saying that survivors were being manipulated by trial attorneys or accusing them of possibly getting kickback. There were also accusations of an attempt to "payoff" a survivor. "John Engler can't really seem to get himself out of the news for the negative comments that he makes," said MSU Senior Natalie Rogers. She's with a coalition of students, faculty and staff called Reclaim MSU that formed after Simon resigned in an attempt to change the culture and give students and faculty a bigger voice at the school. "Yeah, this is it. This is the final straw for the board." Nassar pled guilty to sexually assaulting several of his female patients. But during his 2018 sentencing, more than 150 women and girls came forward to confront Nassar for abusing them while they were his patients. A judge sentenced Nassar to 40 to 175 years. Morgan McCaul is a survivor of Nassar's abuse who spoke at his sentencing. She's been active at Michigan State, though she's a sophomore at the University of Michigan. She said that when she heard about Engler's statement that there are victims "who've been in the spotlight who are still enjoying that moment at times," she couldn't believe anyone would make that assertion. She called it ridiculous. "Honestly I try not to think about this because otherwise I fear I would fall apart," she said. "But to quantify the amount of time and honestly the future that this has robbed me of, thinking about what kind of person could I have been if I didn't have to do all of this. If I didn't have to fight a university to get justice for something that happened to me at no fault of my own. It's heartbreaking." Now it seems that Engler will be forced to resign or be fired this week. Mosallam said in an interview that the votes are there if Engler refuses to step down. Mosallam has called on Engler to step down for some time, but after the November election and an appointment by the former governor put three new women on the board, the makeup is different. Mosallam says the new additions, "brought on three more members that are more compassionate, are more concerned with [Engler's] tone and empathy. So I think his words matter a lot more now to them than they did to other trustees." McCaul says if the board goes through with it, she'll be relieved. 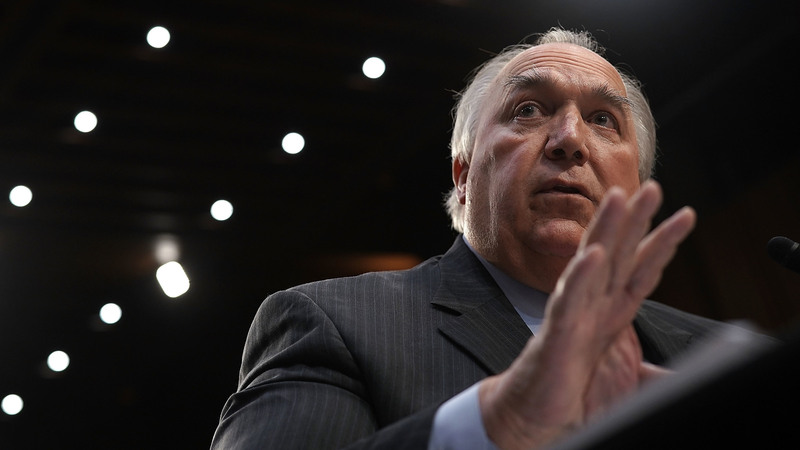 "I would give anything to never have to give an interview about John Engler ever again."